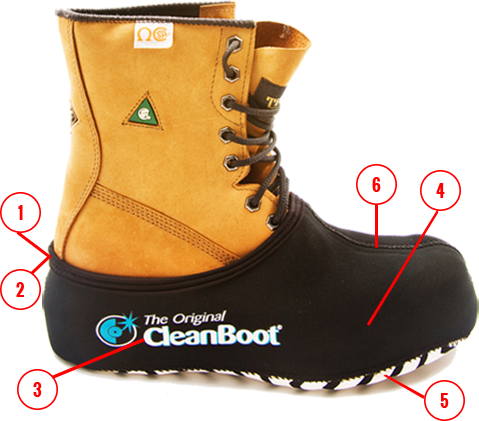 "The Original CleanBoot fits over your existing dirty boots or shoes, allowing you to keep the outside out and the inside clean." Convenient Heel Loop for easy ON/OFF application. Reinforces the heel seam for additional protection against wear and tear. 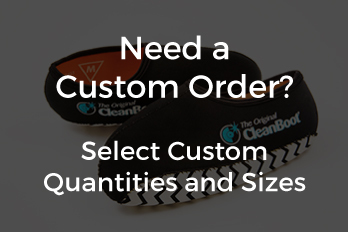 Form fitting, durable construction, 100% Neoprene. Patented Extra Grippy sole for better traction on finished flooring such as carpet, hardwood & tile. Strengthened stitching & glued seams allow for a super durable construction throughout the overshoe. 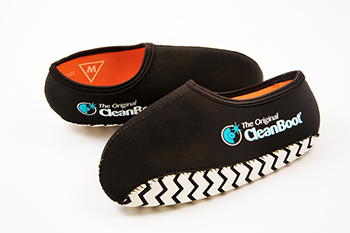 Show your customers you CARE with The Original CleanBoot that helps protect your clients home and maintains safety! 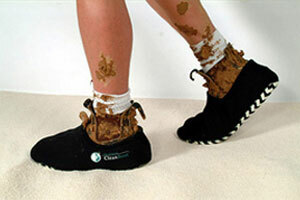 Paper boot covers just tear apart, cover your dirty work boots with the most durable boot covers that last! 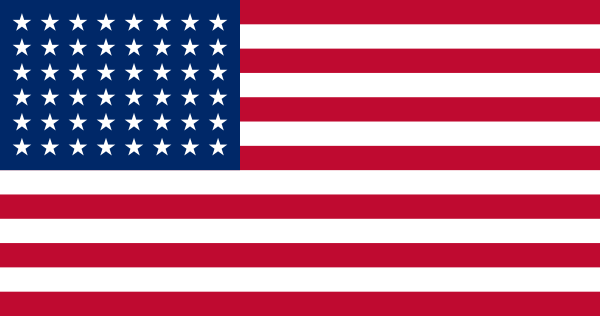 The Original CleanBoot? Gives the Best First Impression to Win Customers for Life!